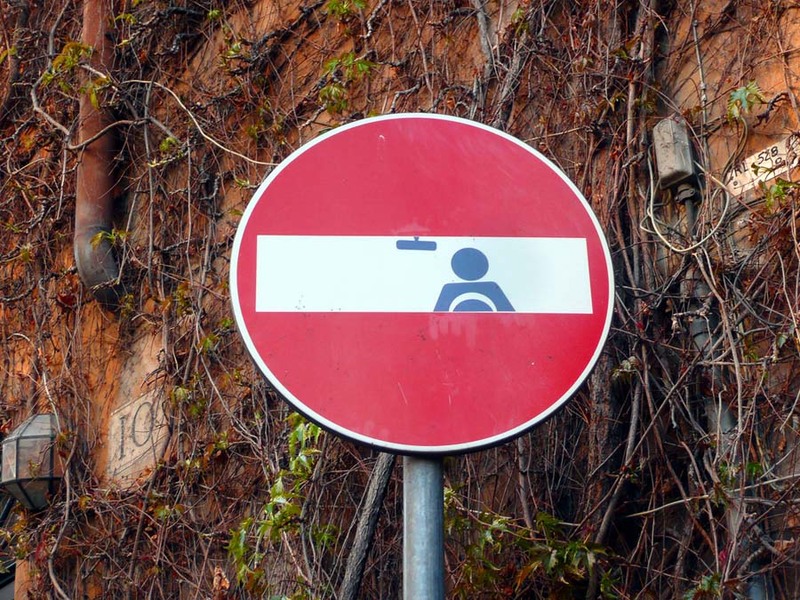 French street artist Clet Abraham, now living and working in Florence, humorously alters traffic signs throughout major cities in Europe by strategically pasting removable stickers on them. But it’s not all just to crack a smile on the faces of those who pass by. Clet is commenting on society’s standardization and the constricting effect that rules have on us, limiting individual expression and thought. 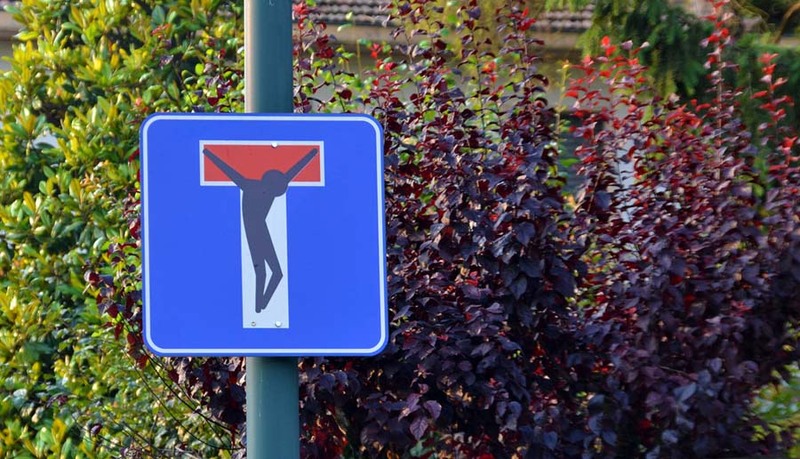 It’s no coincidence that many of his images reference religion. If you like Clet Abraham’s work, you might also enjoy Dan Witz’s Do Not Enter Project and Roman Tyc’s Semafory. Photos courtesy of the artist; Paul nine-o; nijule; edoardo80; walls of milano; surreyblonde; metella merlo; kriebel; and lartefact.